Hair loss is a condition that leaves many men and women feeling self-conscious about their appearance. 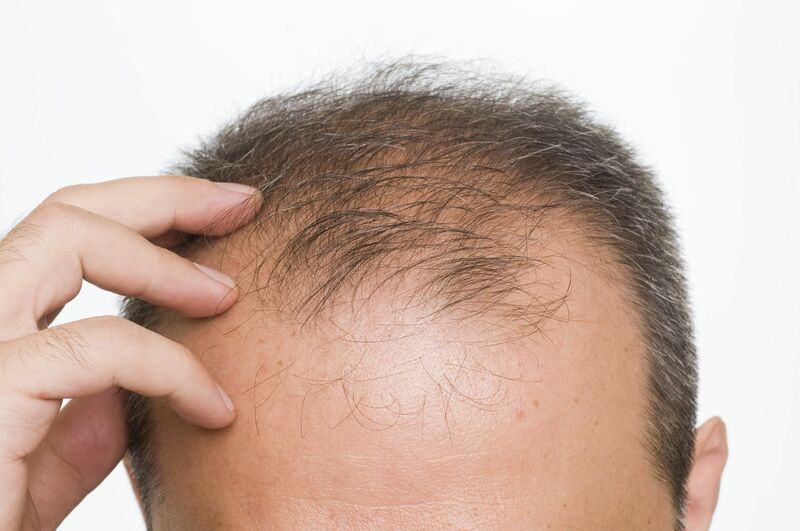 Thinning hair often makes a person look significantly older, especially when hair loss begins at a young age. Although there is no "magic pill" to treat hair loss, scientists and hair specialists are hard at work in search of hair loss "cures". Although this has proven to be very elusive, medical therapy treatments such as Propecia , Rogaine and PRP ( Platelet Rich Plasma ) are considerations to fight hair loss, particularly for younger patients and/or patients in early stages of hair loss. While a non-surgical approach can provide outcomes of varying success for hair loss sufferers, at True & Dorin Medical Group we offer advanced hair loss surgery options that are proven, permanent and give patients back the hair fullness that they truly desire. Hair transplant surgery can be extremely successful but it may not be appropriate for all patients. One of the most common questions our doctors get regarding candidacy for this procedure is, “when is the right time to undergo hair transplant surgery?” At our New York, NY practice, we can meet with prospective patients to evaluate their candidacy for hair transplant restoration. A successful hair transplant surgery depends on proper planning. A hair transplant procedure should not be performed on a patient with limited donor area density and/or if the donor hair can not meet the extensiveness of the balding pattern in a meaningful way. Meeting with a doctor is important in understanding if your balding pattern is suitable for a hair transplant. Many patients want to have a transplant as soon as thinning or hair loss begins. However, this may not be the best option. Although hair that is transplanted is genetically resistant to balding, native or non-transplanted hair can still be subject to further hair loss progression. If hair transplant surgery is performed too early, results may be compromised or unsatisfactory if additional hair loss occurs and a patient is either unwilling or unable to keep pace with their loss of hair. In our consultation, the doctor will provide a short and long term treatment plan to consider. Most individuals are likely candidates for a hair transplantation depending on their expectations and hair loss classification. Our doctors will advise patients on what makes them a suitable hair transplant candidate and if so when the right timing is for a hair transplant procedure. FUE ( Follicular Unit Excision ) is enjoying popularity as a more sophisticated and modern hair transplant method when compared to FUT ( Follicular Unit Transplant ). With FUE, our doctors manually extract and excise each graft one by one from the donor area. If you have waited to consider hair transplant surgery until now, the wait may have been worth it as FUE hair transplantation produces the same quality result as FUT with minimal scarring, no stitches and no discomfort. Ultimately whether FUE or FUT, the method we use for hair transplantation is determined based on achieving the best possible outcome for every patient. So how do we get hair transplant timing right, and what's required for a successful transplant? There are many factors that go into determining whether a patient is an ideal candidate for hair transplant surgery. If you are interested in learning more about hair transplant treatment and if it is right for you, contact us at your earliest convenience.